The word Errl has been going around in the cannabis industry, Here we have put together the Ultimate Guide to Errl Definition. How does it relate to the cannabis industry? Why is it another name for Wax? Websites that have it in the url? These and all other questions that we will answer in this Ultimate Guide. We start with the what we have found to be the use of the original word. The original word was used in the southern part of the United States of America. It was used to refer to oil. 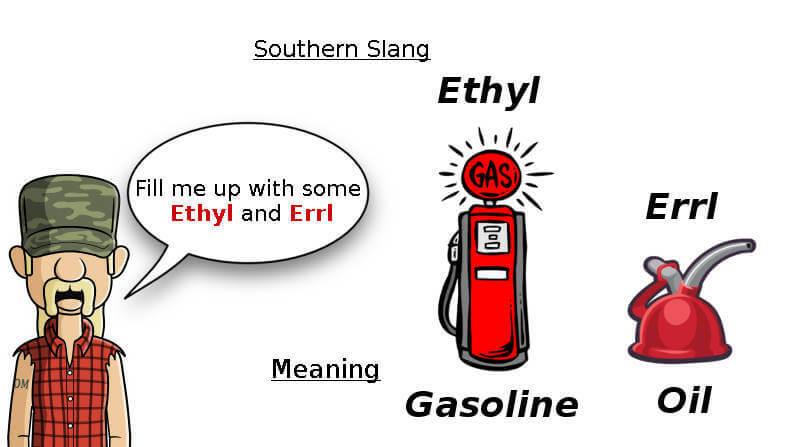 When going to get gasoline at a local gas station, customers would ask for Ethyl and Errl. You guessed it Gas and Oil oil. It started being associated with Oil. In the cannabis industry, concentrates (marijuana wax, marijuana shatter and bho oil) are referred to as oils. Why is it associated with oils? After they process the cannabis with an ethanol, butane, isobutane, or acetone they come out with a liquid like texture. Which looks like clean oil. This started the reference to Oil when thinking of cannabis concentrates. Why is Oil/Errl associated with 710? 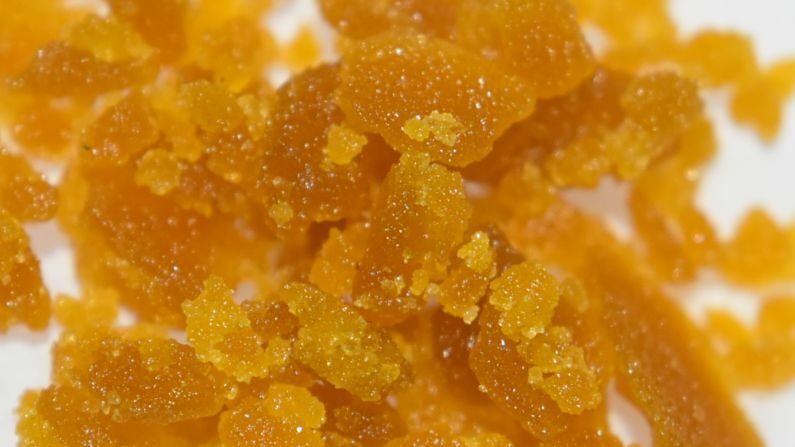 Another phrase in the cannabis industry that has come from concentrates is the term 710. Like 420 refers to marijuana, cannabis, or weed, 710 is the reference to oil, bho oil, wax, concentrates and other things that are considered cannabis concentrate products. 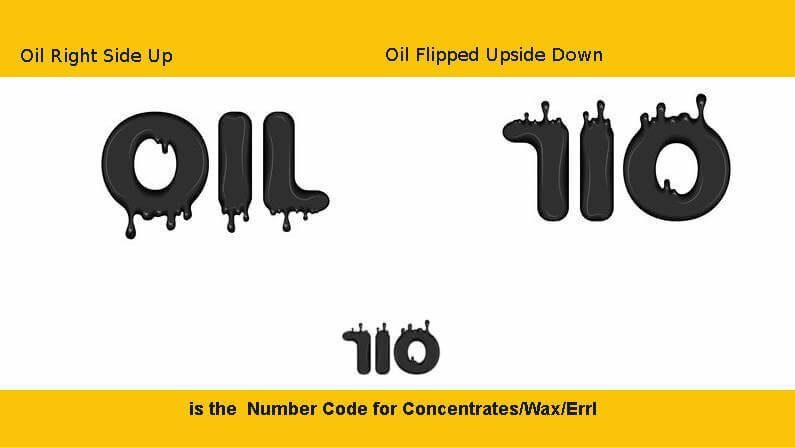 710 comes from Oil, turn OIL upside down and you get 710. So when someone says we are going to go 710 or Its 710 let’s celebrate. Now you know, it’s the new 420. Kind of cool, they flipped it over and came up with oil. That leads use back to our original questions. Please remember, until recently when the State Government and local elections determined that Cannabis is a medicinal cure and that it is better to control and research this wonderful plant then it is to regulate it at a Scheduled 1 Controlled Substance, people were fearful of using words like Cannabis, Marijuana, Hash Oil, Weed, so they had other words that described what they were saying by not using the stereotyped words we associate with Cannabis. When our cannabis awards and events company started in the industry 3 years ago. The total results on google were very little. 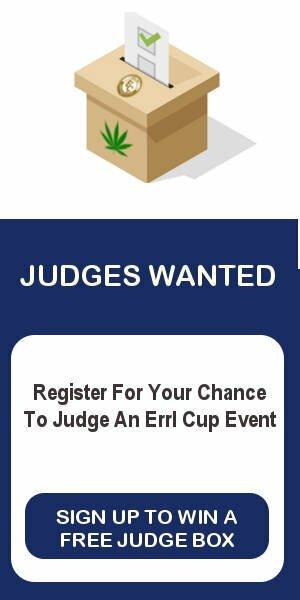 Look what google has populated your search suggestions with, Errl Cup, our event site. Errlybird and Errlectric, these are companies we will look into later in this article. The point being is it has changed the way people are searching for concentrates and other products associated with concentrated marijuana products. Here is a list of websites that have the word in the name of the website. All these sites have the same theme, concentrated wax. From e-nails to clothing, some sites we could find tht might interest you. 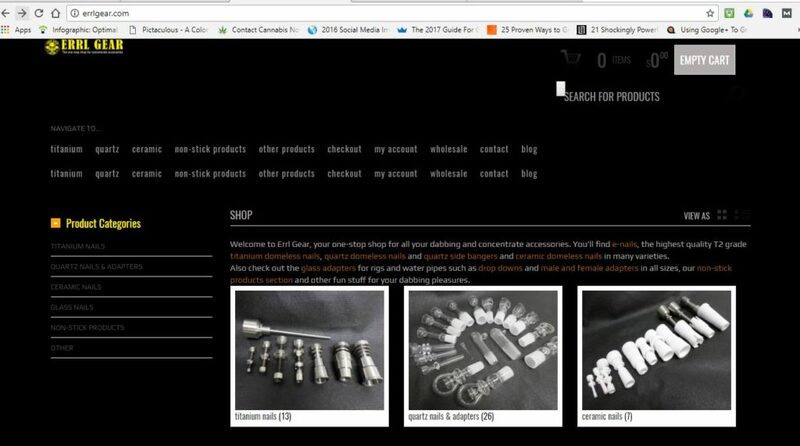 Errl Gear – This site has everything that you would need to smoke your oils. If it’s e-nails, non-stick silicone containers or rigs, specialized in concentrate smoking accessories. 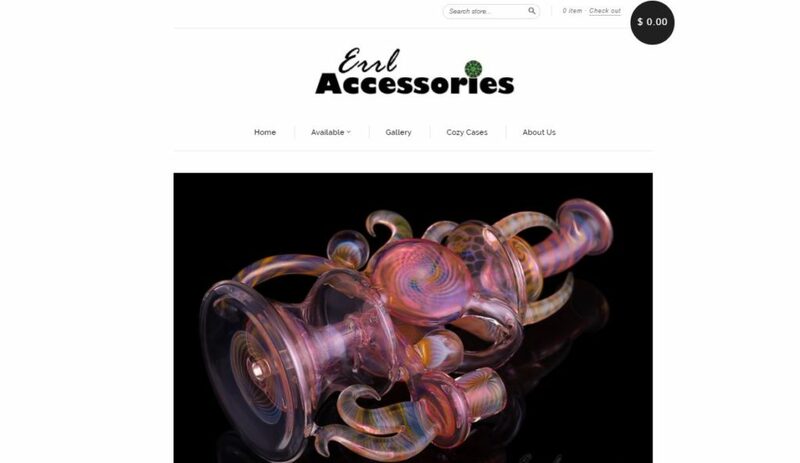 Errl Accessories – Specializing in products and accessories that will work when dabbing. It seems like they carry a lot more high end products, as well as cases and nice heady pieces to smoke out of. 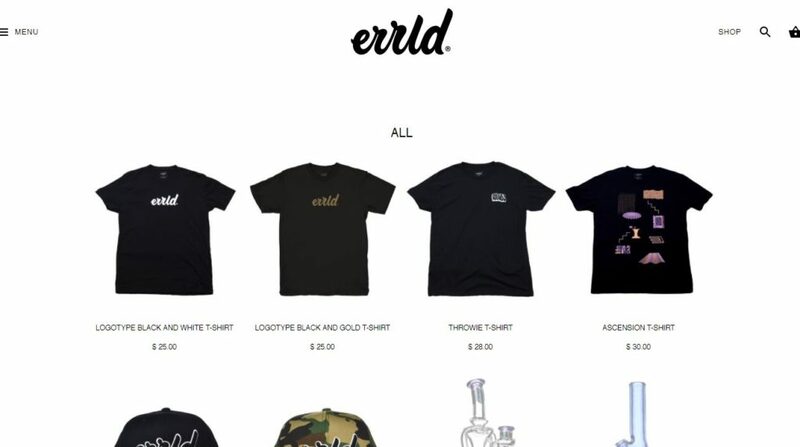 Errld – A clothing focused website based on and around the oil and wax. They offer their own brand of Errld clothing, rigs and other smoking accessories from select artists. Errlectric – One of the longest running businesses using it in there name. Errlectric makes a high end e-nail that is used to heat your dab rig. Errlectric designs many models for you to choose from. Any e-nail from this company would be a smart purchase. Here are some common ways you might hear or read being used in the Marijuana, Cannabis and Concentrate industry and their meanings. Errl Tools – This is a tool used to take dab hits out of your rig. Every tool is made differently, some of them have carb caps, some do not. Errl Rigs – One way you can consume your concentrates is to use an rig. A rig is like a bong for flower, but made for wax It uses either a dome or domeless type nail that is heated and then the wax is applied. Errl Containers – This is what you use to transport or carry your wax with you. These containers come in plastic, glass, silicone and other new types of material. Depending on what type of concentrates you are using, it would depend on the container you would purchase. Silicone containers seem to work out best, since wax does not stick to silicone. Errl Dish – A place to put your wax tool before and after you use your rig. It will also hold concentrates too. You can use it to put your hot tool down if it does not stand up on its own. A universal must have accessory. The future of using Errl as a word for concentrates and wax is looking very bright. There are many new websites coming out that focus just it as its primary consumer “keyword” for their marketing efforts. We at EC will continue to keep you up to date on all you need to know. We hope you have found our Ultimate Guide useful. Do you have any other things you can add this amazing word? Tell us, we would love to know.